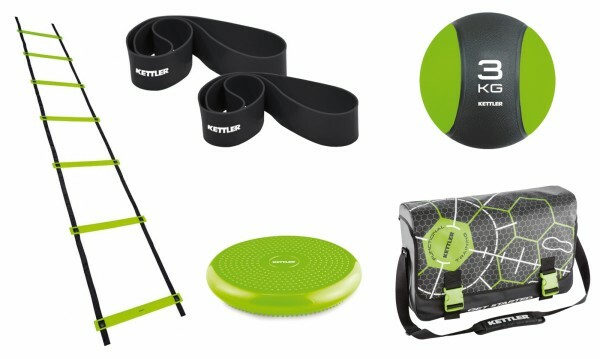 The Kettler Functional Training Teamplayer offers all for the training of ball sports. Strengthen joints and tendons and improve speed with coordination ladder, medicine ball, balance cushion, and a Latex loop set. The set teamplayer of Kettler is optimized for the training of team and ball sports. Tendons and joints can be strengthened, coordination and speed are improved - with the four small training devices. ´The Functional Training set fulfills the requirements of teamplayers perfectly regarding strength, flexibility, and coordination - thanks to its many training possibilities.